It’s official – Vin Diesel is now part of the Dodge SRT family. The popularity of The Fast and the Furious franchise makes it an ideal advertising opportunity for automakers to give their cars exposure. Dodge became an official partner for the long-running movie franchise, and it’s certainly paying off since Fate of the Furious has been breaking box office records since release. Vin Diesel’s character Dominic Torretto has always had an affiliation with Dodge muscle cars throughout the series, so it’s not surprising to see the star promoting them in Dodge’s 'Brotherhood of Muscle’ campaign. 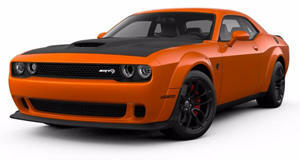 The three commercials showcase the savage SRT cars in Dodge’s performance product line-up. The first clip, "Rally Cry," sees Diesel behind the wheel of a 707-hp Challenger Hellcat performing some tire-shredding burnouts because, well, that’s what the Challenger Hellcat was built to do. 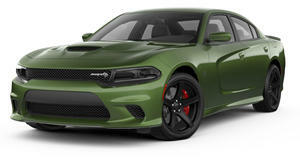 The second clip, called "Monsters," showcases the all-new Durango SRT, while the third, entitled "Shepherds," shows the Charger Hellcat flexing its muscles. “Vin Diesel is the ideal partner to drive Dodge’s new campaign, ‘The Brotherhood of Muscle,’” said Olivier Francois, Chief Marketing Officer, FCA - Global. “Both Dodge and Vin have large, extremely loyal fan bases that are passionate about high-performance vehicles, family and pride. It’s a natural fit that builds on the strengths of both of us.” “Ever since ‘The Fast and the Furious’ began, my favorite has been the 1970 Dodge Charger,” Diesel said. “As Dodge is a partner in making the ‘Fast & Furious’ films, I’ve gotten to know what they stand for … as well as their passion for creating high-performance cars like the Hellcats and the Demon. They’re bringing muscle back the right way and these are my kind of cars.” Curiously absent, however, is the certifiably insane Dodge Demon, despite being prominently featured in Fate of the Furious. Then again, we could all do with a break from any Demon advertising after enduring the excessively long teaser campaign. There’s no sign of the legendary SRT Viper either, but then we know its fate (no pun intended) is already sealed, sadly. With Diesel now an official advocate for SRT muscle cars, perhaps this will spark a new feud between him and The Rock, who of course is a brand ambassador for Ford. Pummeling you with shots of muscle cars getting their tires tortured, these adverts aren't very subtle, but that's entirely the point - they reflect the brashness of the SRT brand. Had they aired in the UK, you can bet the advertising standards agency would have been outraged considering it managed to ban a BMW newspaper advert for merely mentioning speed.